Audits can be a time of stress and anxiety. And if that’s the case, it’s probably because the proper practices and tools are not in place. 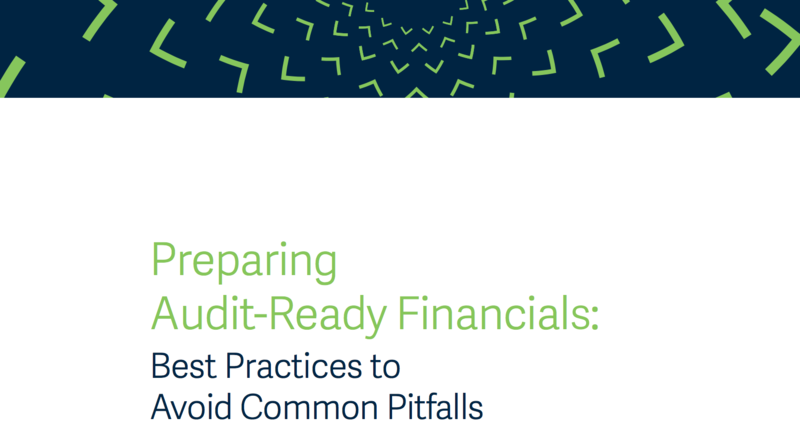 Edward Thomas Associates is happy to offer the eBook ‘Preparing Audit-Ready Financials: Best Practices to Avoid Common Pitfalls’. For public companies, [audits are] a statutory requirement under SEC regulations and for many fast-growing private companies, it’s a necessity to meet the demands of lenders, VCs, and other stakeholders. There is even a possibility that the IRS could require a financial statement audit as part of a broader tax audit. Ultimately, every audit boils down to the risk of a material misstatement in the numbers. The responsibility falls to you and your finance team to ensure that your financials present the lowest possible risk of such errors, thereby earning a “clean” (unqualified) opinion from your independent auditor. To achieve a smoother process in preparing audit-ready financials, you need well-documented transactions, balances that are calculated accurately, and financial statements and backup documentation that can be produced in a timely manner. Entrepreneurs and business leaders often struggle to find an affordable and professional solution to their accounting challenges. That’s where Edward Thomas Associates can help. We provide outsource accounting services for companies just like yours and bring decades of experience to ensure that your business has an optimal accounting function.